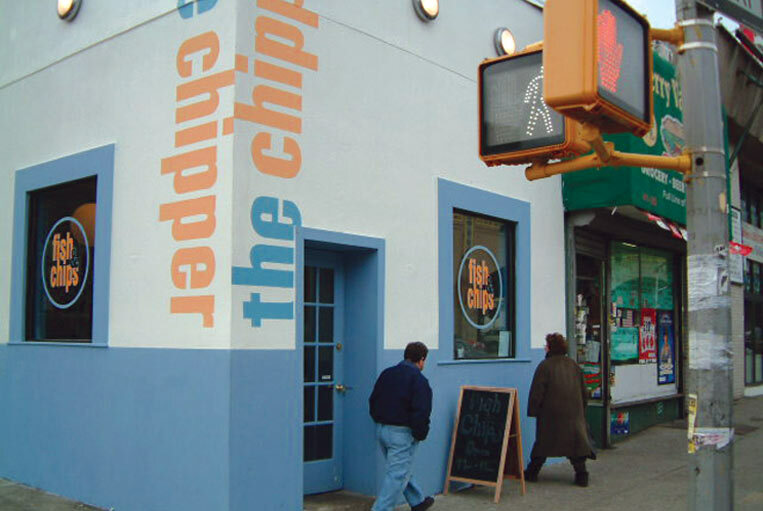 Opened in 2002, the Chipper was a fish-and-chips restaurant in Sunnyside, Queens, serving what food critic William Grimes of The New York Times called “the ultimate in downmarket no-frills fried food.” Li’l Robin created a brand identity for the restaurant that was fresh and fun, positioning the Chipper as a contemporary update of the traditional British-inspired chip shop. 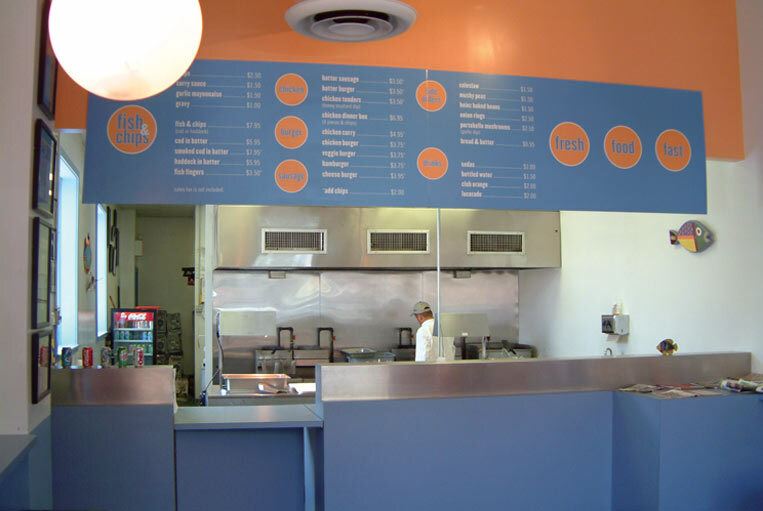 Capitalizing on the location and bright, simple décor designed by architect Leslie Thomas, the identity clearly communicated the restaurant’s values and connected effectively with its broad range of customers. 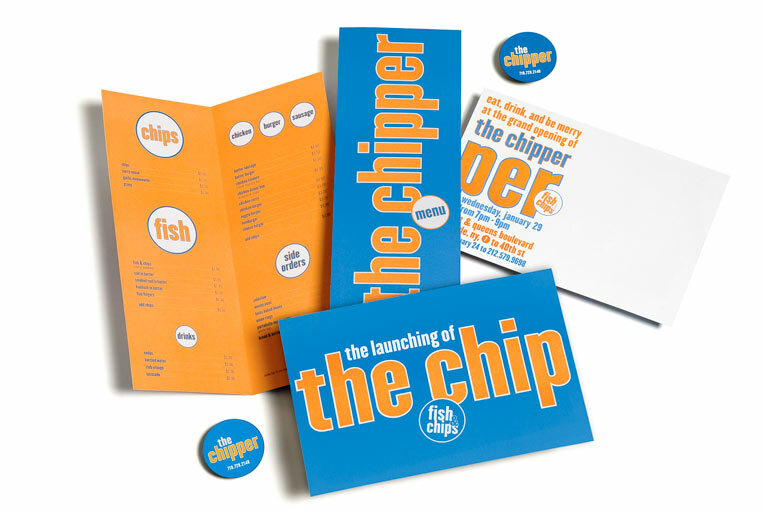 The two-part logo––a bold logotype that can be used with or without the descriptive secondary mark, Fish & Chips––was applied to the restaurant’s menus, promotional swag and interior and exterior signage. 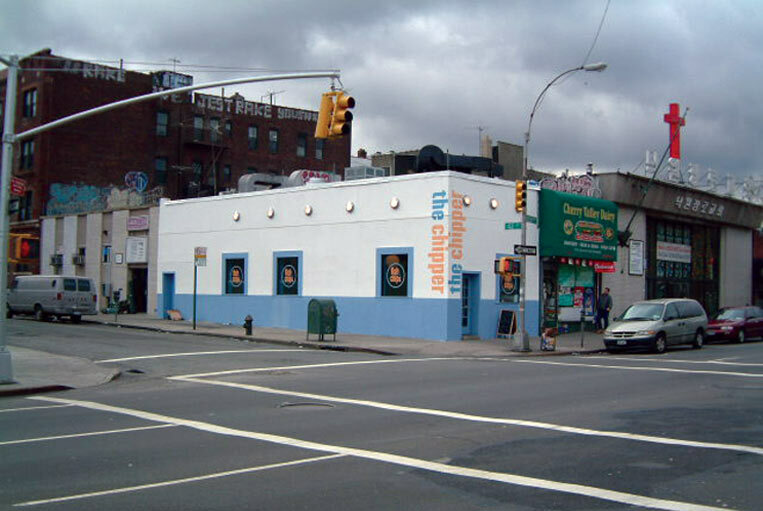 Sadly, the restaurant closed due to fire in 2005. We wish the owners Paul Gallen and Andrew Morten good luck and look forward to a revival of the chip shop.